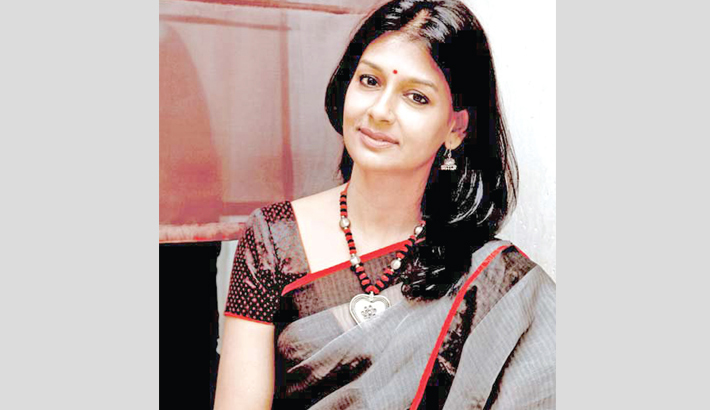 Bollywood actress-turned-director Nandita Das has been invited to participate in a movement called 'Share her journey' by Toronto International Film Festival (TIFF) 2018 where she will speak about gender inequality in the film industry. Nandita took to Twitter and wrote: "At TIFF, in addition to 'Manto' North American premiere, I will participate in 'Share her journey' and will share my perspective along with six incredible women at a public rally hosted by the festival. Can't wait." The filmmaker, who earlier attended the film's screening at the Cannes Film festival where she was seen protesting against gender gap, feels proud at getting the opportunity to speak on gender parity in films at an international platform once again. On the same, she penned a long post on Facebook which reads: "This year was doubly rewarding when 'Manto' began its journey with a world premiere at Cannes, and I participated in the march with a select group of 82 women protesting gender inequality in the film industry. "Soon, I will be going to the Toronto International Film Festival for Manto's North American premiere. There, I have been invited to participate in the movement called 'Share Her Journey' to champion female storytellers and push gender parity in films." She also mentioned that issues like sexism and sexual misconduct exist in the industry and almost every single actress has dealt with it. "We all know that sexism, gender disparity and sexual misconduct are widespread in the film industry. Almost all of us have been privy to it and most have experienced it firsthand. In the past year, the #MeToo and #TimesUp movements have shed a much-needed spotlight on the harsh reality faced by women in the industry. "While not enough criminal prosecutions have happened yet, it has given hope to women in the industry that silence does not have to be an option."